The app is designed to work with both mouse and keyboard as well as touchscreens. This includes pinch zooming and two finger map rotation, both familiar gestures. Anyway, the app offers voice-guided navigation for cars, walking and using public transport. It takes traffic conditions into account and warns you of local speed limits. Maps can be downloaded for offline use as before. Favorites, route preferences and recent searches are synced between devices (hooked up to the same Microsoft Account) so you can plan your trip on the desktop app, but use the phone app for navigation. 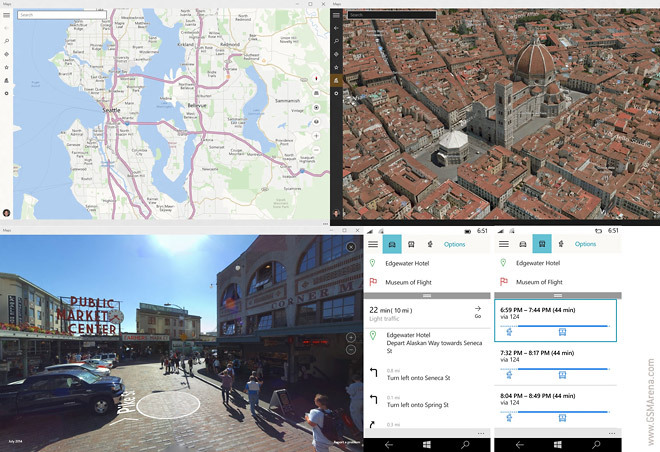 Maps for Windows 10 lets you search for local landmarks, restaurants and more and includes all the usual info you get from Bing search. The Explore in 3D option from the Windows 8.1 is making the jump to the new version as is Streetside imagery. 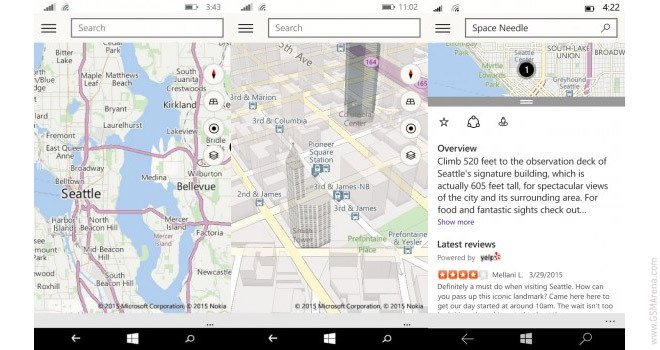 You need to join the Windows Insider Program and install Windows 10 Technical Preview to try out the new Maps app.